Available: Composer, Hornist, Singer, Songwriter, Vocalist - Backing, Vocalist - Choral in Kolkata, West Bengal, India. Posted 2 weeks ago by Alie, 60 views. 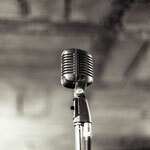 Available: Singer, Vocalist - Backing in Kolkata, West Bengal, India. Posted 3 weeks ago by Chhotakishore, 56 views. Available: Singer, Vocalist - Backing, Vocalist - Choral in Dhakuria, Kolkata, West Bengal, India. Posted 2 months ago by dasaniruddha, 102 views. Available: Composer, Keyboardist, Pianist, Singer, Vocalist - Backing in Kolkata, West Bengal, India. Posted 4 months ago by MusicalSam, 169 views. Available: Singer, Vocalist - Backing, Vocalist - Choral in Kolkata, West Bengal, India. Posted 6 months ago by Parvathy, 244 views. Free Vocalist - Backing available ads in Kolkata and surrounding areas. Find a Vocalist - Backing today or a band to play in. An overview of all Kolkata musician classifieds on Join-A-Band.com.